We’d love your help. Let us know what’s wrong with this preview of Mr. X Book by Jay Abraham. This manual is broken down into 20 profit certain sections, each 20-50 tightly edited pages. Section examples include: Host Device, Start-Up Marketing, Motivational Marketing, Unique Selling Propositions, Direct Response, Prospect Conversion, Direct Mail Marketing, Tele Marketing, Marketing Help from Vendors, Using Public Relations to Spur Demand for Your Product or Servic This manual is broken down into 20 profit certain sections, each 20-50 tightly edited pages. Section examples include: Host Device, Start-Up Marketing, Motivational Marketing, Unique Selling Propositions, Direct Response, Prospect Conversion, Direct Mail Marketing, Tele Marketing, Marketing Help from Vendors, Using Public Relations to Spur Demand for Your Product or Service, How to Build a Powerful Sales Force, Barter, Marketing for Professionals, Marketing for Specific Businesses, & How to Put on a Great Marketing Campaign to name just a few. 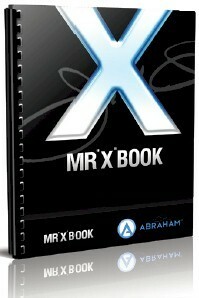 To ask other readers questions about Mr. X Book, please sign up. Didn't find it particularly helpful... meandering thoughts.